Latin America: The 2017 results show lower fleet replacement and growth expectations compared with 2016 results. Still above the world average, the purchase plans have declined more than 13 per cent compared with the prior year. Latin American respondents currently favour light single-engine models, representing almost 60 per cent of their planned acquisitions, followed by intermediate and medium twin-engine platforms. 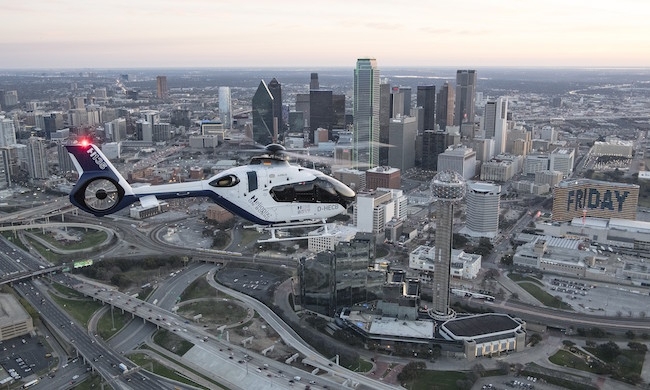 Middle East and Africa: The region has the second-highest new purchase rate among the regions, with up to 22 per cent of respondent fleets slated for turnover with a new helicopter replacement or addition. However, purchase plans are 8 per cent lower compared with 2016 survey results. Close to 80 per cent of planned new helicopter purchases are intermediate and medium twin-engine models. North America: Purchase expectations fell by more than 2 per cent in this year’s survey. The purchase plans are down for a second year since 2015. More than 75 per cent of planned North American purchases were identified as light single-engine models, while just under 13 per cent of new purchases were slated as intermediate or medium twin-engine models. North American purchase plans are a significant component of the overall 2017 survey demand, as the region represents more than 40 per cent of the current world fleet. Europe: Purchase plans decreased by more than 3 per cent in this year’s survey, down for a second year in a row. Excluding heavy-twin helicopters, European purchase intentions currently tend to favour all classes in nearly equal shares this year. Asia Pacific: Despite solid results from these nations, overall buying plans slipped about 1 per cent. Operator purchase plans continued to drift slightly lower compared with the past few years in the 2017 results. BRIC countries (Brazil, Russia, India and China): Purchase plans are lower for all countries except Russia in this year’s survey. Overall, BRIC plans are down more than 11 per cent compared with 2016 results.